Today's Doomvember pattern is Alternating Current! 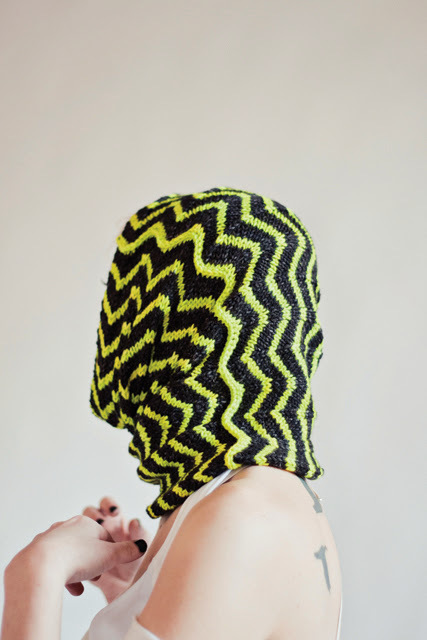 AC is a tall zig-zag cowl knit with Black Trillium Fibre Studio's Pebble Worsted in the gorgeously neon "Lightning Bug" colorway and the near-black "Inkwell." 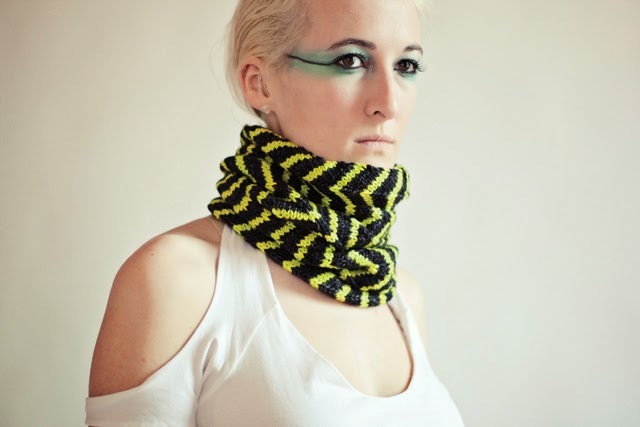 When I saw those colors (which happened to be right by each other in the Black Trillium online color catalog) I knew I had to do something electric with them- perfect for the cyber-punky, robot-uprising "Kill All Humans" chapter. And yes, that is a Bender reference. Styling tip: It's not actually a great idea to buy super awesome space-stripper shoes for an photograph where you only need to show off a cowl... but they really are awesome. 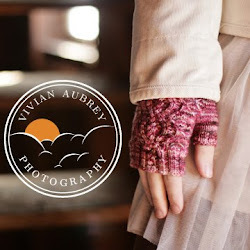 You can find Alternating Current on Ravelry here. Yippee! We'd love it if you'd join us for the rest of the Doomvember tour- tomorrow we head to Sharon Fuller's blog for some desert-nomad-ish goodness. Doomsday Knits will be released in digital form (with paper to follow) in December- you can preorder the book right now through Cooperative Press! I so want this in violently hot pink and dark, dirty grey. Swoon. The shoes are indeed to swoon for. 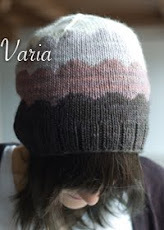 And I love the 3-needle bind off - I can just see it now that you point it out.